Lillian died. 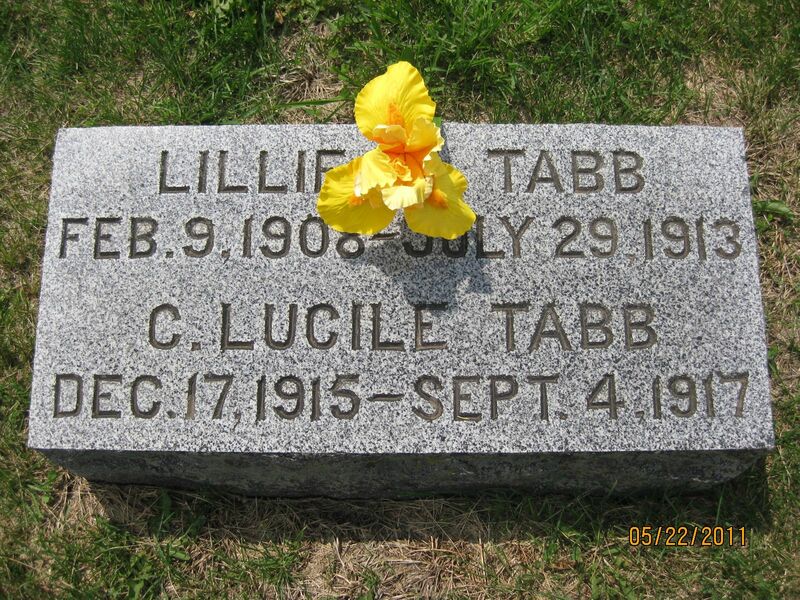 Lillian was born on 4 July 1887. Irmine was born on 8 February 1892. Irmine died on 9 April 1952 at age 60. [S1096] Larry and Joyce Campbell 1703 E. State Rt. 2 Cleveland, MO 64734 816-899-2239 e-mail address. [S1081] Lillie Mavice Tabb, Death Certificate. [S1080] Lucile Christina Tabb, Death Certificate. 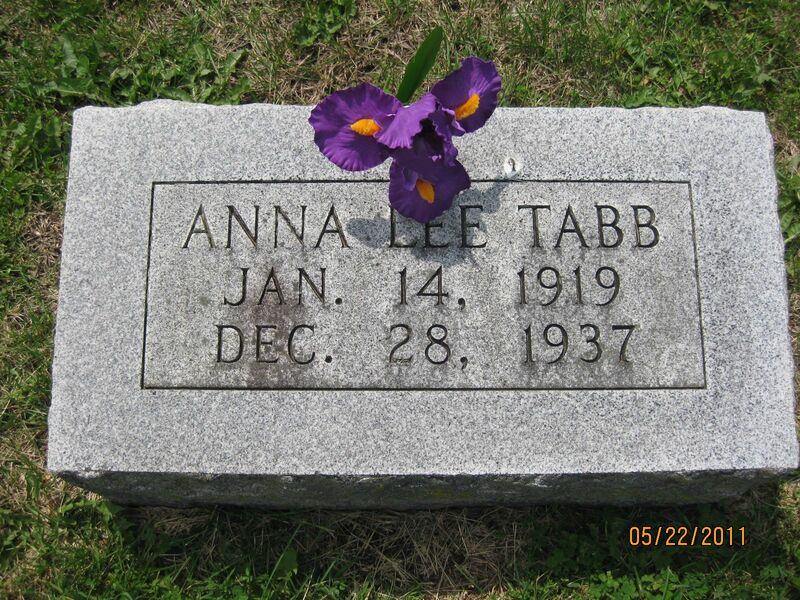 She married Benjamin Franklin Tabb. May was born in 1881. May died in 1969. 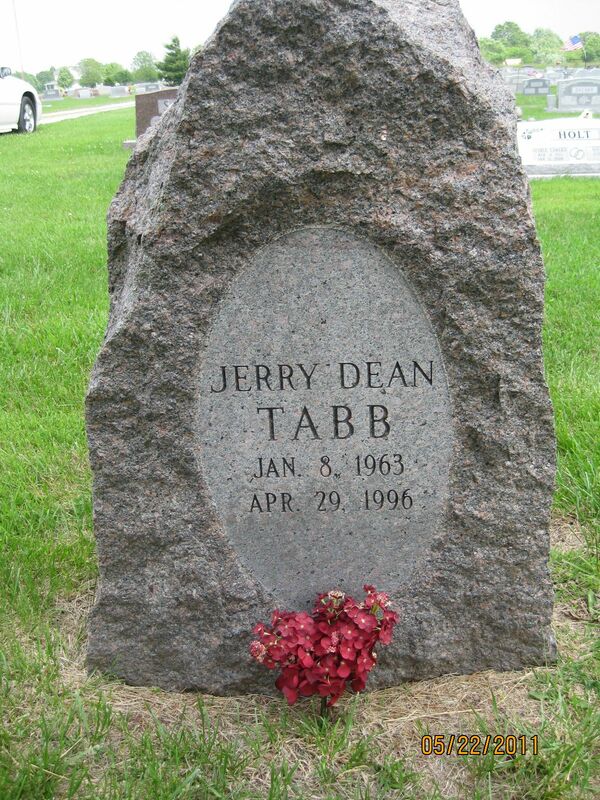 Jerry was born at Harrisonville, Cass County, Missouri, on 8 January 1963.1 He died on 29 April 1996 at He died in a car accident at age 33.1 He was buried after 29 April 1996 at Freeman Cemetery, Freeman, Cass County, Missouri. 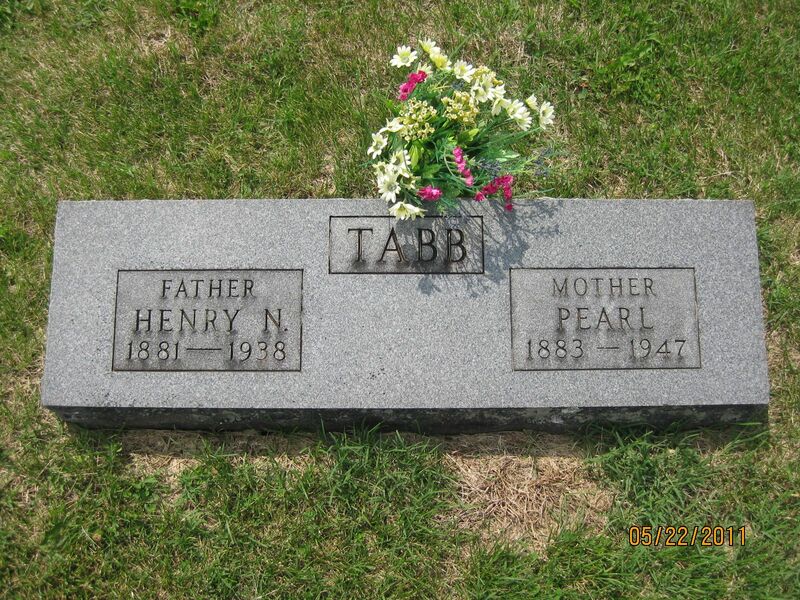 She married Edward Alvin Tabb. 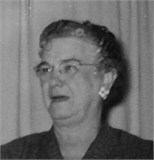 Elsie was born at Bates County, Missouri, on 3 May 1886. Elsie died on 22 May 1963 at El Dorado, Butler County, Kansas, at age 77. William was born in 1911. William died in 1920. [S1008] Source: Email from John Lang Tabb (e-mail address) dated 14 December 2003. Edna died. Edna was born. N. was born in 1899. N. died in 1903. Fannie died. Fannie was born. 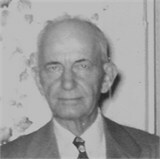 William Hardin Tabb , Jr.
William was born at Cass County, Missouri, on 25 March 1918. William died on 15 May 1923 at Everett Township, Cass County, Missouri, at age 5. 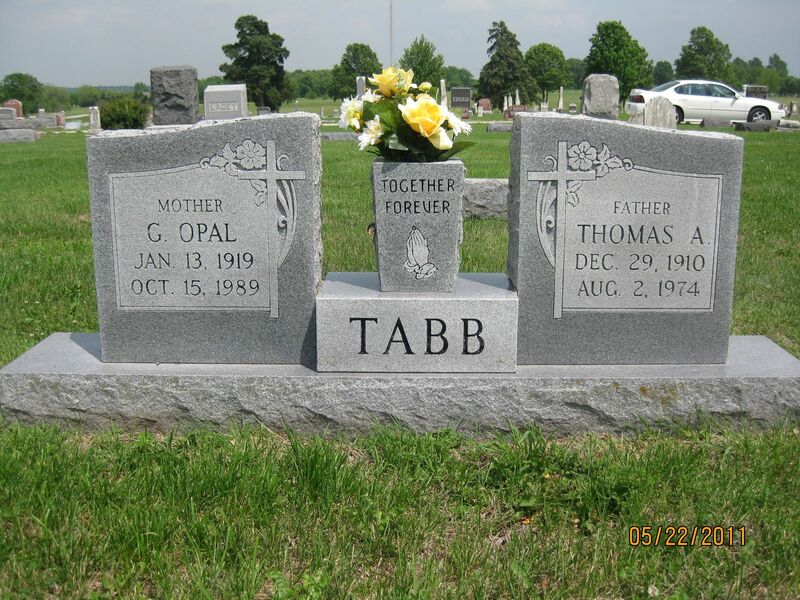 He was buried on 17 May 1923 at Freeman, Missouri; Information from his death certificate.